With an exposure time of 1/100s and a roto diameter of 11m one estimates about 220m/s for the speed of the blade tips. One often reads again that the blade tip of a helicopter reaches supersonic speed (over 340m /s). In hover, this is not the case for this helicopter. 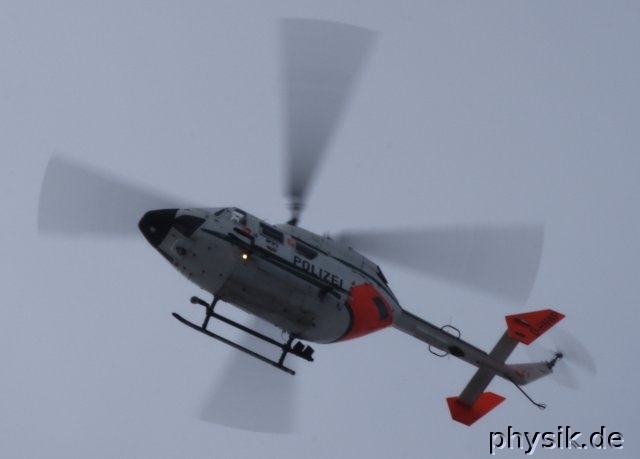 The helicopter, Eurocopter BK117-C1 has a rotor diameter of 11m. During the exposure time of 1/100s the tips moved about 2.2 meters. The rotor moves at approximately 220m /s and turns nearly 7 times per second. 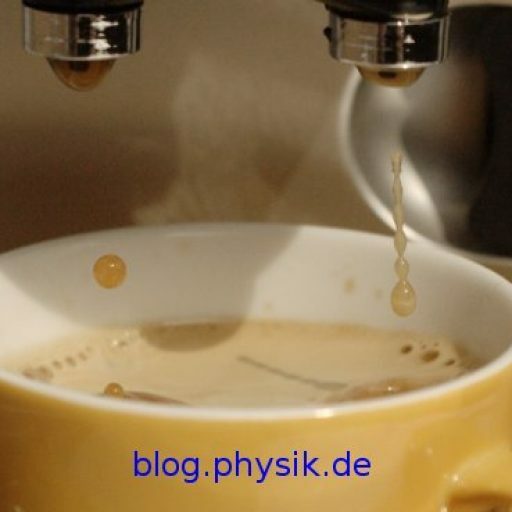 This entry was posted in Bilder, Physik on 16 February 2010 by DS.